CAO’s La Traviata: One of the most interesting new releases is CAO’s La Traviata. Named after an old Cuban brand with a recently-expired trademark, the brand is CAO’s attempt to create a classic Cuban flavor profile. 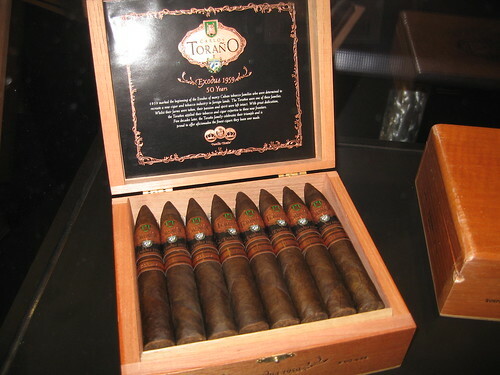 It utilizes an Ecuadorian habano wrapper combined with a Cameroon binder and Nicaraguan and Dominican filler tobaccos. La Traviata comes in three sizes—robusto, toro, and Churchill—and carries an extremely approachable price tag of $4.95-5.75. Rocky Patel Updates His Classics: Rocky Patel unveiled three new smokes as we detailed in tour IPCPR preview, but also of note was that he updated the packaging of some of the smokes that brought him to fame. Such staples as the Vintage 1992 and Nording look completely different. The 1992, for example, now carries dual black bands to differentiate it from the Vintage 1990 line. In addition, the Rocky Patel Decade, Vintage 1990, and Vintage 1999 are all getting newly designed tubos. 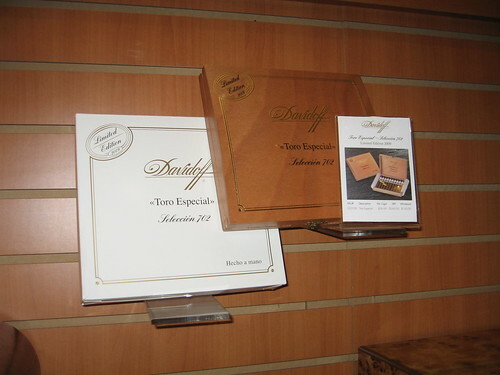 New Davidoff Maduro Coming: While Davidoff had many new and beautiful (and pricey) humidors and accessories on display, we were most excited to hear about the second size for the Davidoff Maduro, which was announced last year. Due to hit stores October, the corona size joins the robusto in Davidoff’s maduro line. 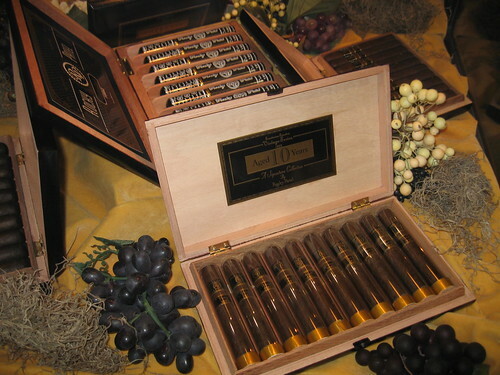 Also of note from Davidoff was the new 2009 Limited Edition Toro Especial, featuring a Colorado claro wrapper. Toraño Unveils Exodus 50: Charlie Toraño told us about his new cigar, the Exodus 50 Years, created in honor of the 50th Anniversary of his family’s departure from Cuba in 1959. The blend comes in three sizes: robusto (5 x 50), torpedo (5.5 x 52), and toro (6 x 48). Would love to see a review of La Traviata from you gentlemen. Seems like an interesting blend. 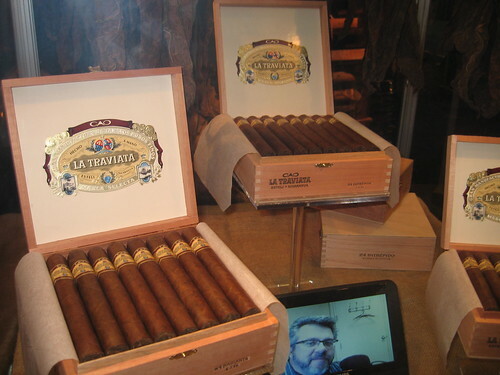 La Traviata is just one of many follow-up IPCPR reviews that we have planned in the coming months. This new CAO brand is at the top of the list, though, so we hope to have something up as soon as we have time to try several samples. Uhm, those Torano torpedoes look mouth watering…seriously, I want those NOW!!! Santa please come early and often. Correction: The Davidoff Limited Edition 2009 'Toro Especial' actually features the long-awaited '702' wrapper. The Colorado Claro will be a limited production released in October followed by the limited production Puro Belicoso in November.